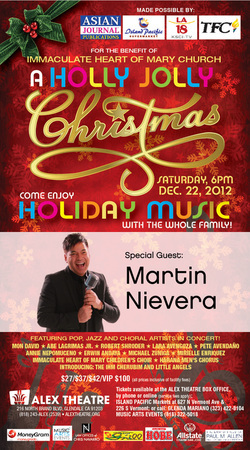 Dec 22, 2012 at the Alex Theatre in Glendale, CA. 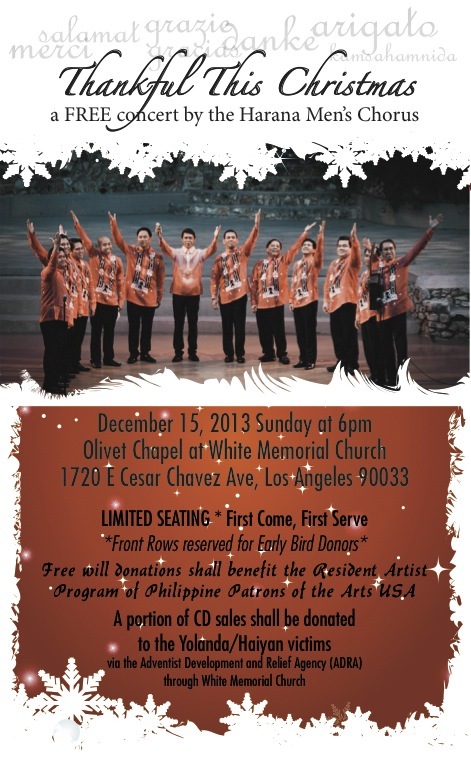 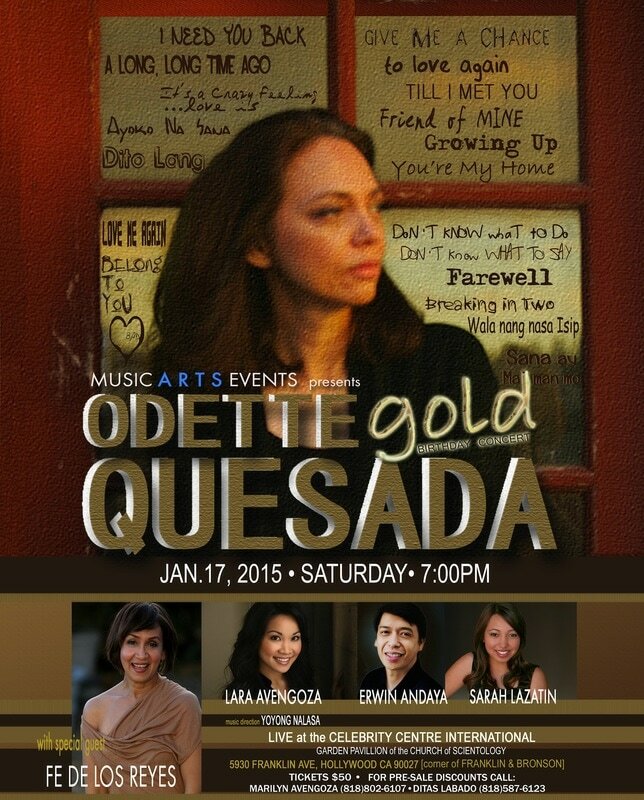 Pop, jazz and choral artists perform or the benefit of Immaculate Heart of Mary Church. 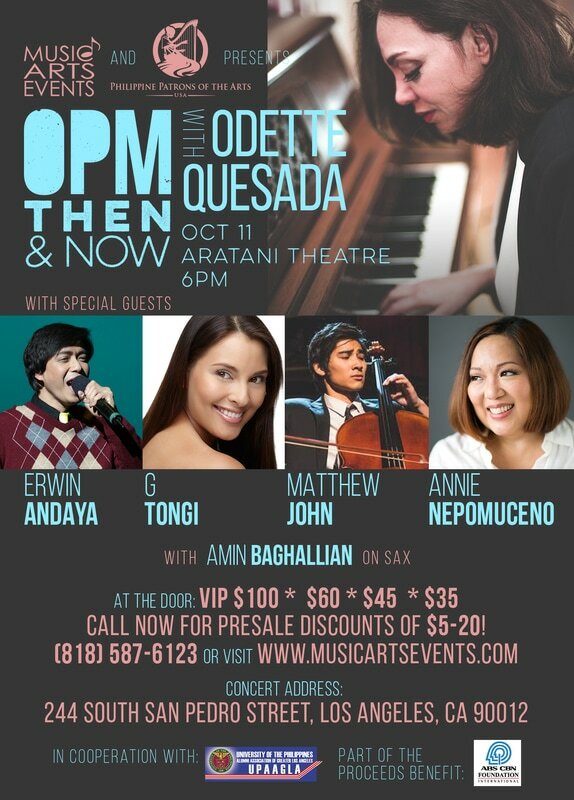 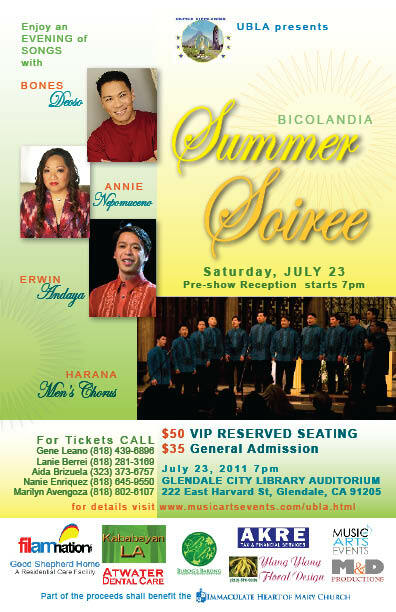 2011, Musical theatre artists reminisce in song, for the benefit of United Bicolandia of Los Angeles. 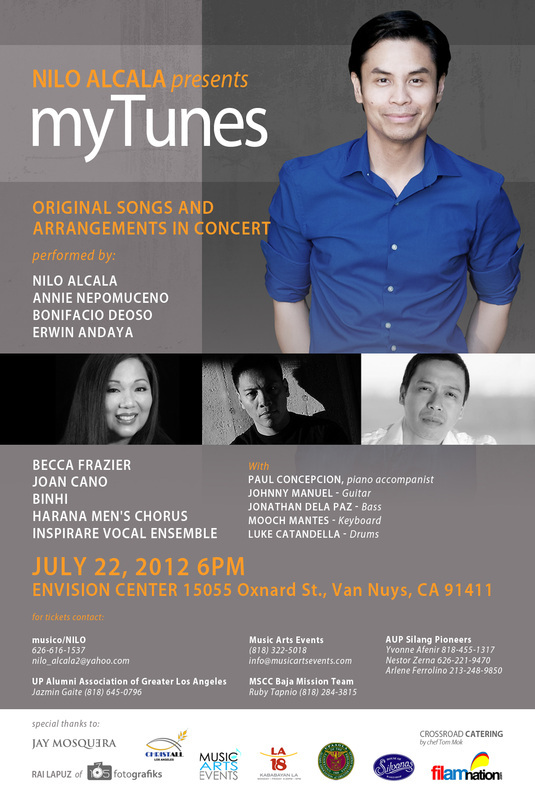 July 2012 at the Envision Center in Van Nuys, CA, presenting the music of Composer / Arranger / Singer Nilo Alcala. 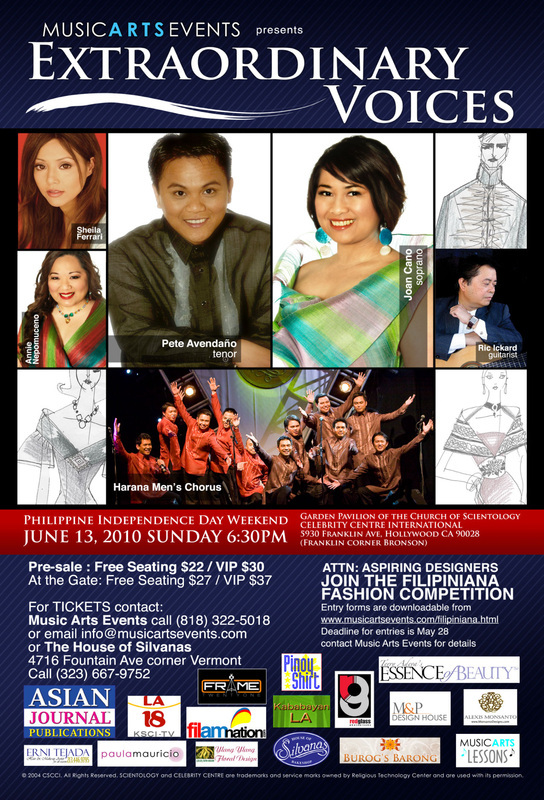 2010, Classical singers cross genres, combining with a Filipiniana fashion competition. 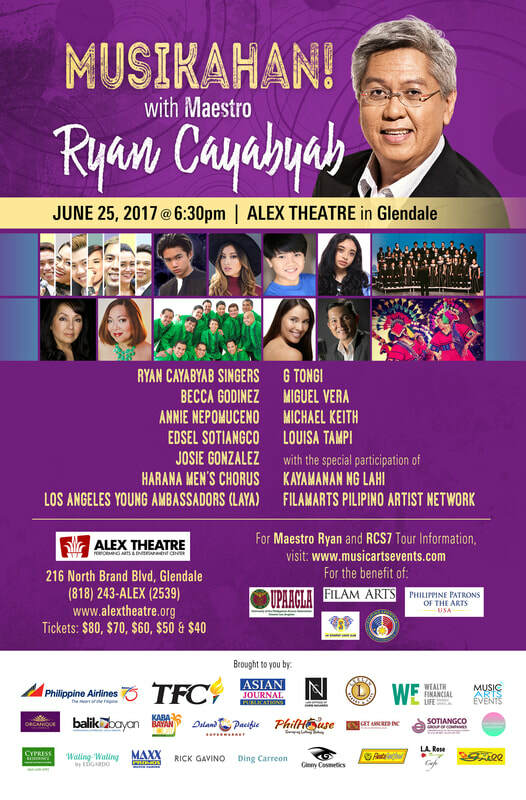 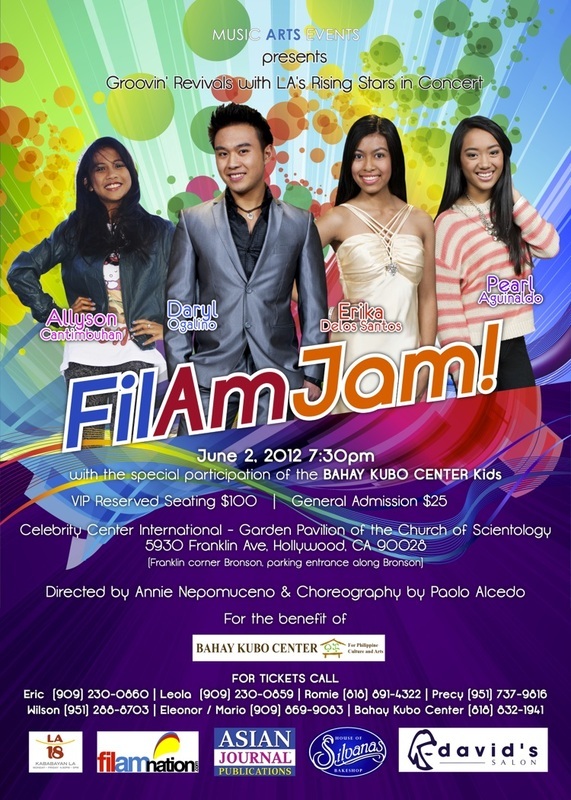 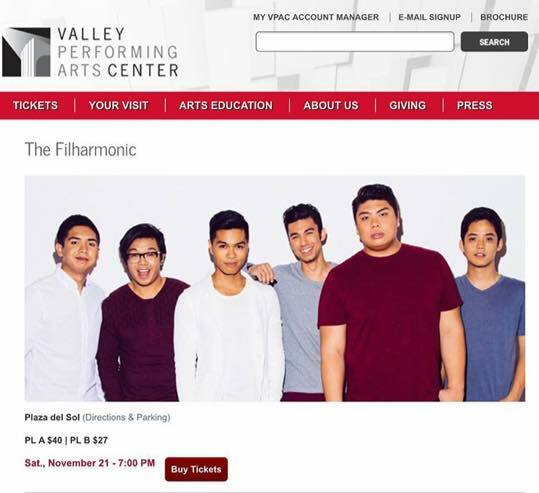 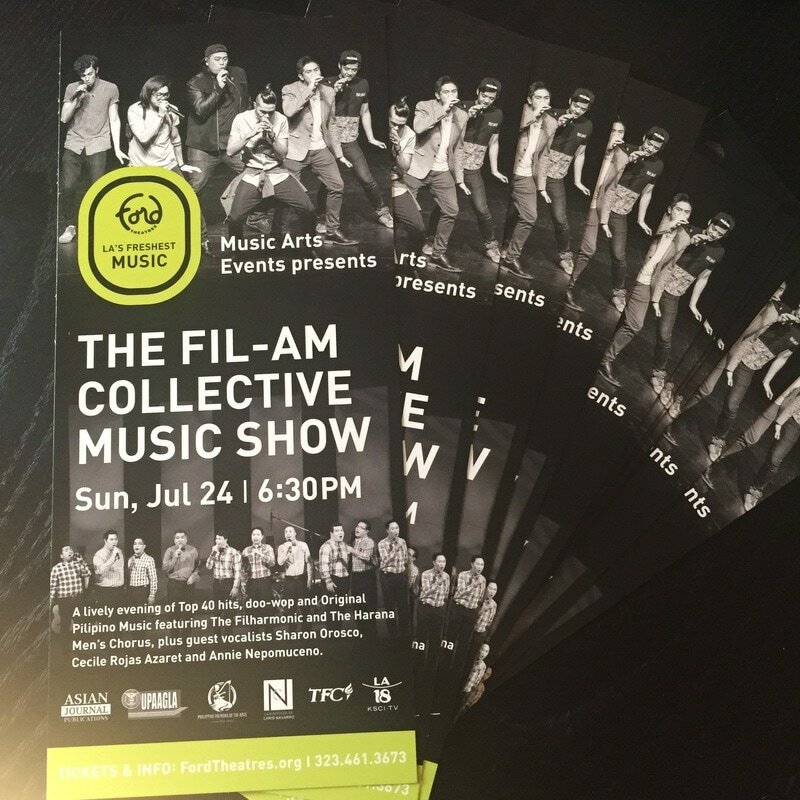 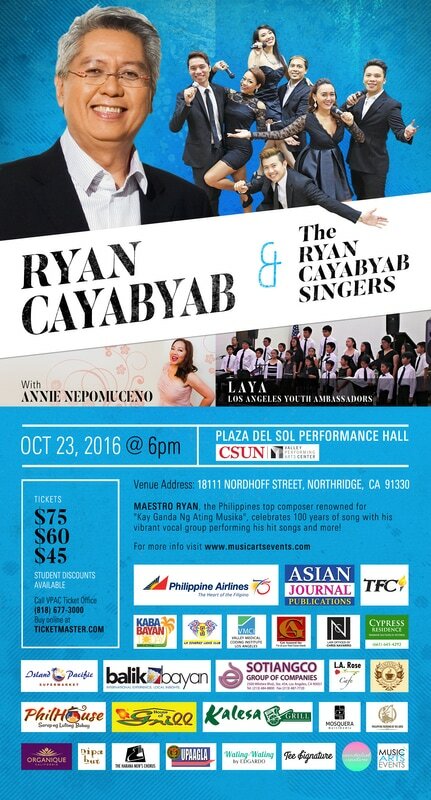 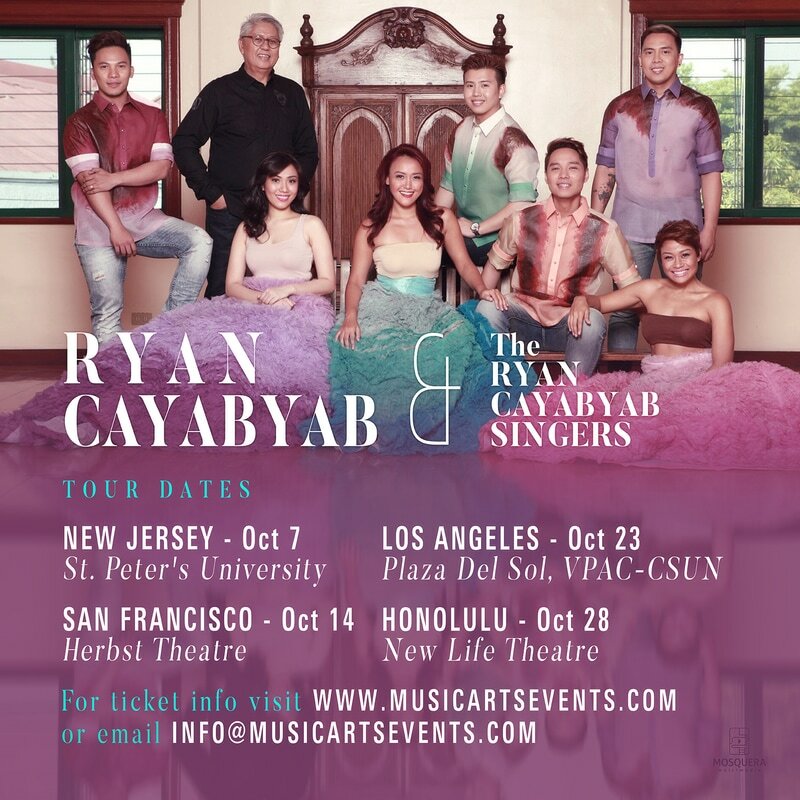 June 2, 2012 at the Celebrity Centre in Hollywood, CA showcasing four young Filipino-American vocalists. 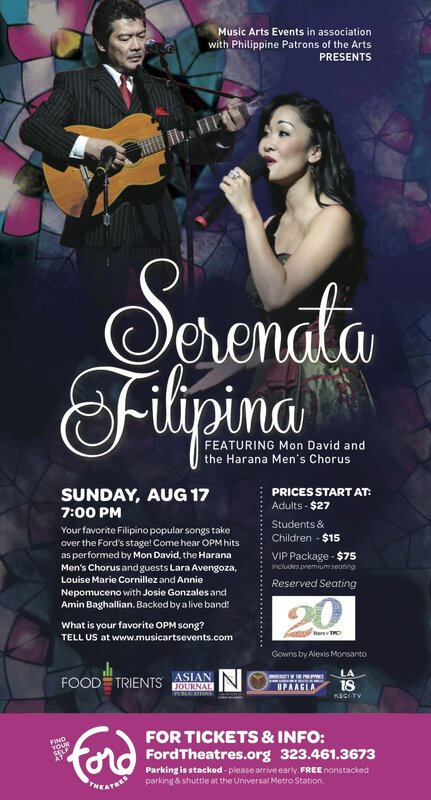 2010, A romantic evening of songs, with special requests and dedications. 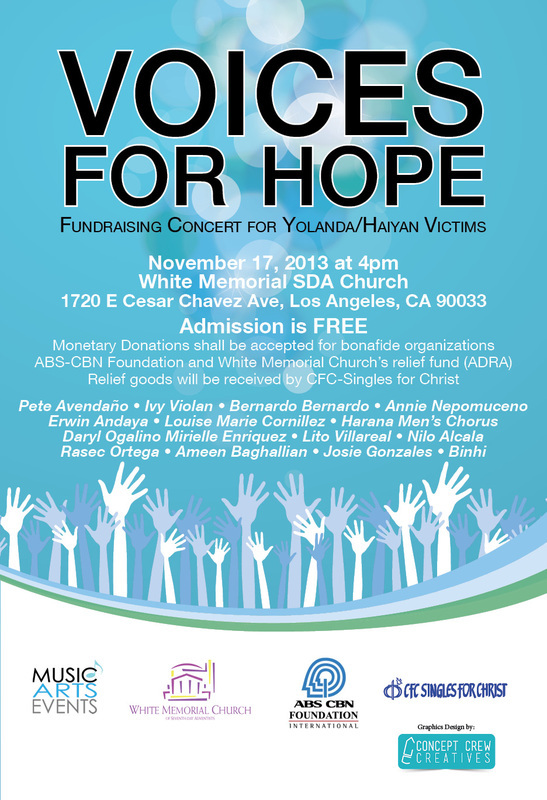 For the benefit of Immaculate Heart of Mary Church.